contacts for the author. 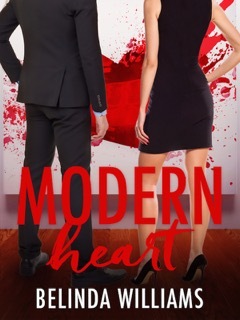 Today’s featured book is Modern Heart by Belinda Williams. doesn’t do relationships, she doesn’t invite men home, and she never stays the night. finally convinced they’ve found her perfect man: John Hart. and let John in? Or will old habits die that little bit too hard? you do not use. Answer on the same line. who allowed an addiction to romance and chick lit to get the better of her. final book in the series, Wish List, will be released in May 2016. Australia Emerald award in both 2013 and 2014.
lover and her eclectic taste forms the foundation for many of her writing ideas. Her healthy appreciation for fast cars means she would not so secretly love a Lamborghini. writing hot male leads with sports cars. Belinda, nice to have you back!